Shuttling back and forth between Brooklyn and Manhattan every day on the New York City subway system, it’s sometimes easy to forget I live and work in area surrounded by coasts. 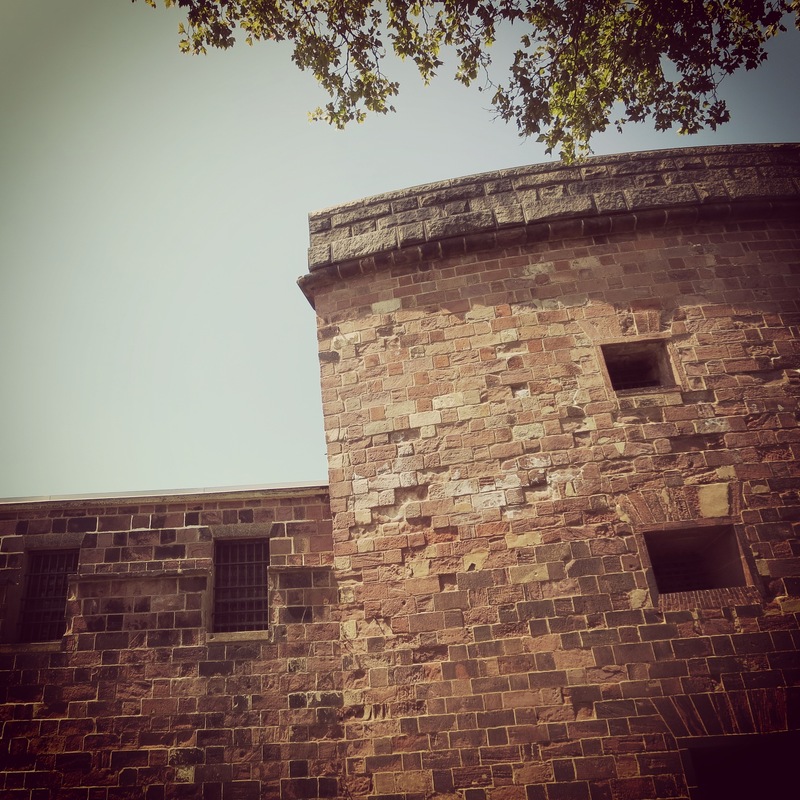 This past weekend I hopped a free mid-morning ferry from Brooklyn to Governors Island National Monument for some immersion in NYC’s coastal defense history and annual Civil War Weekend sponsored by the National Park Service. From the beginning of European settlement of New Amsterdam on the island of Manhattan by the Dutch in the early 1600s, the importance of New York Harbor as a gateway to a system of trade and military defense was clear. The Dutch colony’s main defense at Fort Amsterdam eventually ceded to the British who maintained fortifications on the spot until after the American Revolution. In the post-Revolution centuries, the defense of New York Harbor remained a focus of the US military against foreign and domestic would-be aggressors. Governors Island offers a good historic overview of the development of New York’s coastal defense works from the 18th through 19th centuries. Fort Jay dates from the late 18th-century when American colonists and British troops exchanged control of the island with various earlier wood and earth forts. The existing facility is a classic European-style star fort with masonry and earthen walls is typical of the design built all over the world from the 15th through 19th centuries. Entering through elaborate gates, a visitor walks into a peacefully idyllic central courtyard surrounded by Greek Revival colonnaded buildings with welcoming porches. Several cast iron Civil War era 10 and 15 inch Rodman cannons survive on the fort’s walls, pointing toward the harbor. The later Castle Williams was built between 1807 and 1811 as a fortification just ahead of the War of 1812. The state-of-the art, circular casemate sandstone pile was designed by Col. Jonathan Williams, at the time the chief of the US Army Corps of Engineers. 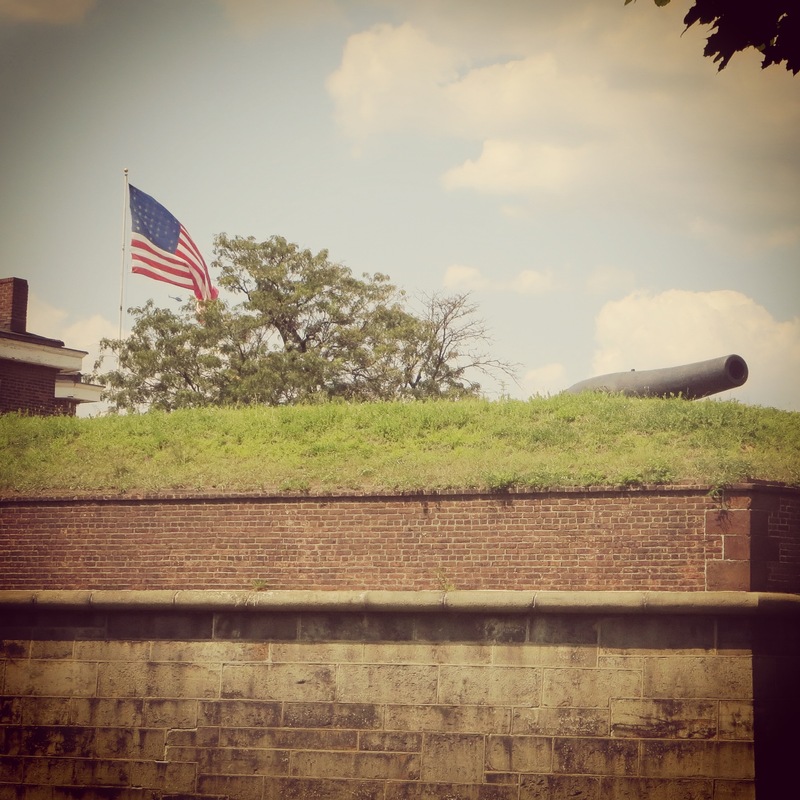 The first fort designed by an American engineer, Castle Williams presents three tiers of gun ports from which a nearly 360-degree field of defensive fire across the harbor. 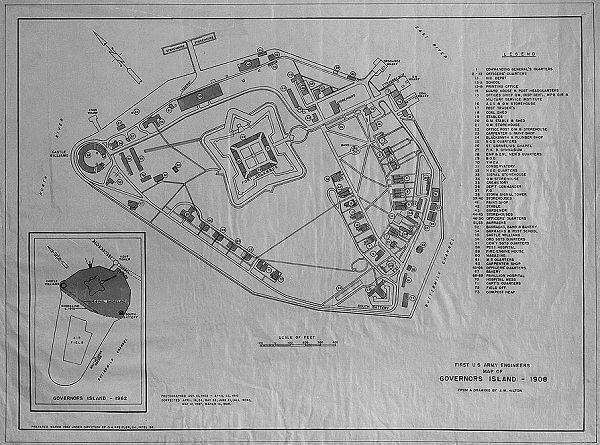 Together with Fort Wadsworth on Staten Island, Fort Wood (today the base of the Statue of Liberty on Liberty Island), Castle Clinton at the southern tip of Manhattan and Fort Gibson at today’s Ellis Island, Fort Jay and Castle Williams served as part of the interlacing network of forts protecting New York Harbor through the 19th-century. 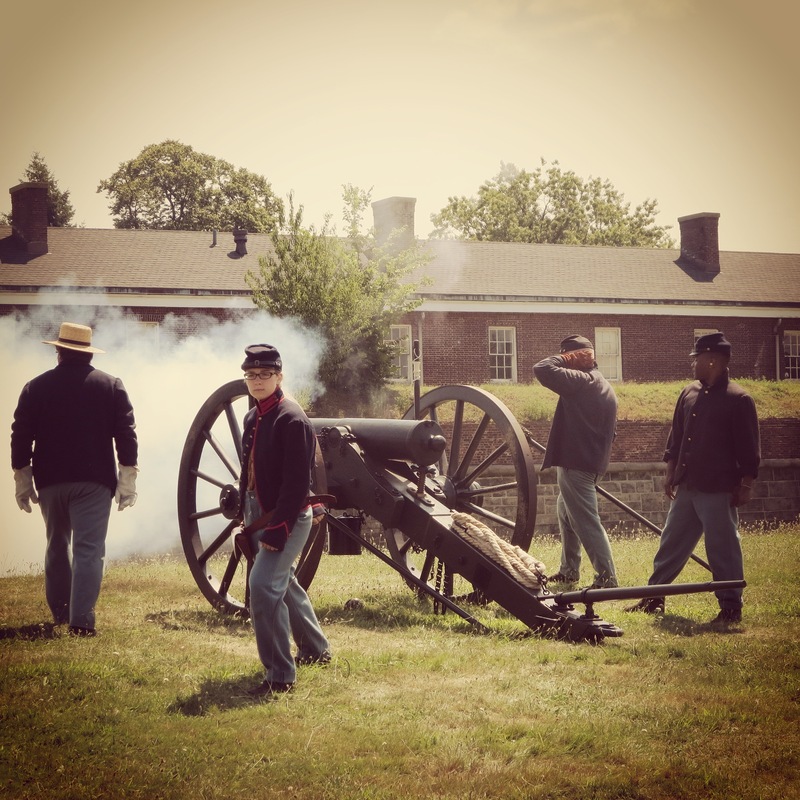 Both Fort Jay and Castle Williams would go on to other roles as the site of a Confederate prisoner of war camp during the Civil War, a US Army prison in the middle of the 20th-century and the site of a large US Coast Guard base until closing in 1996. Gone is the military use of Governors Island today, but the spaces still serve the public as place to walk amid important and usually unseen history of New York. 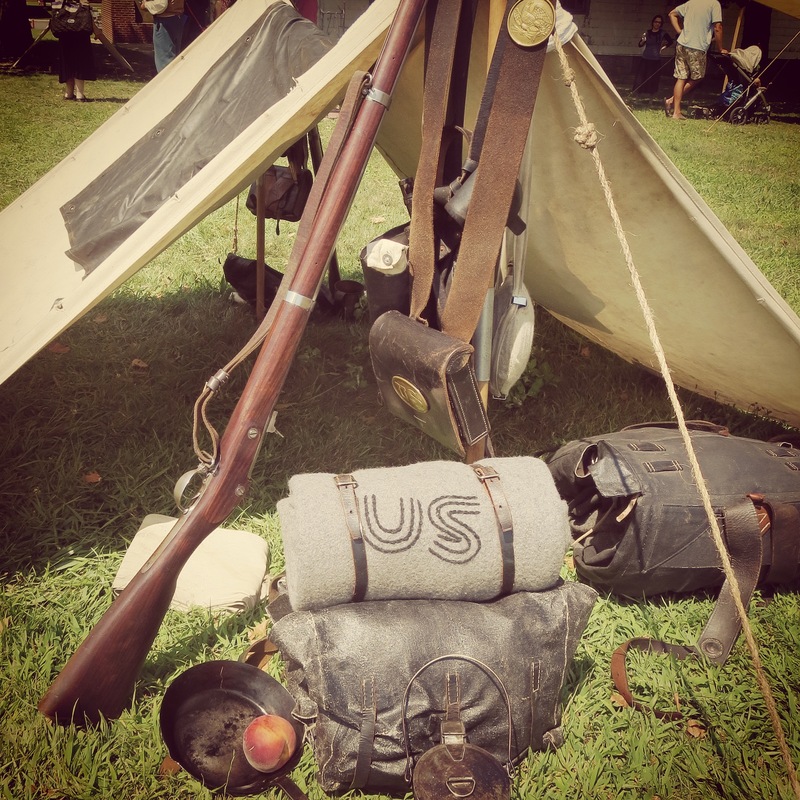 Each August the National Park Service presents the only Civil War encampment of reenactors in New York City. 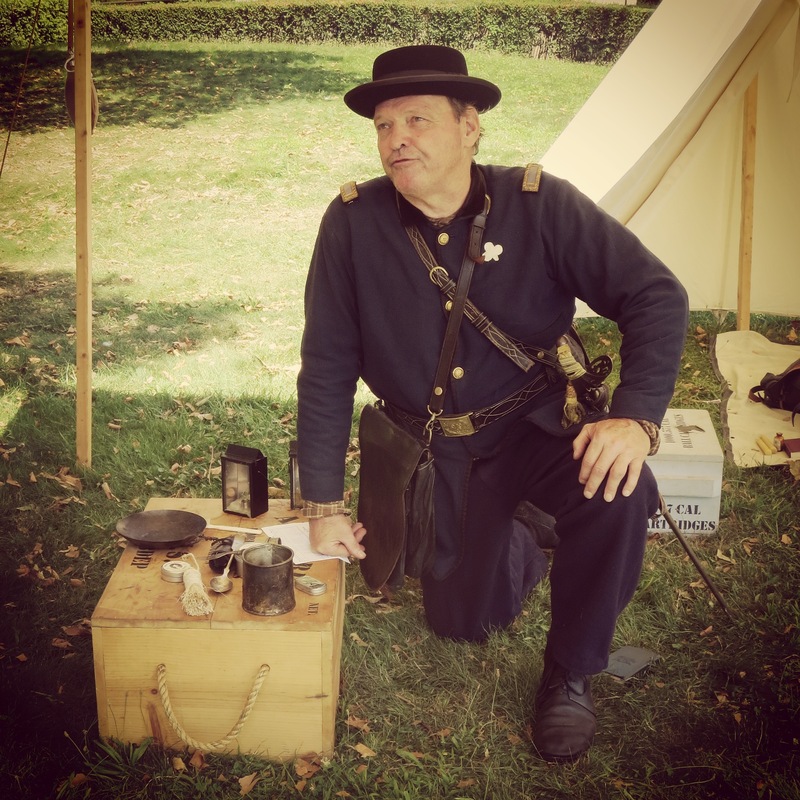 With about a dozen tents in a small camp and more than twenty staff and volunteer reenanctors, the weekend’s events gives New Yorkers an up-close glimpse of a solder’s life during the Civil War. 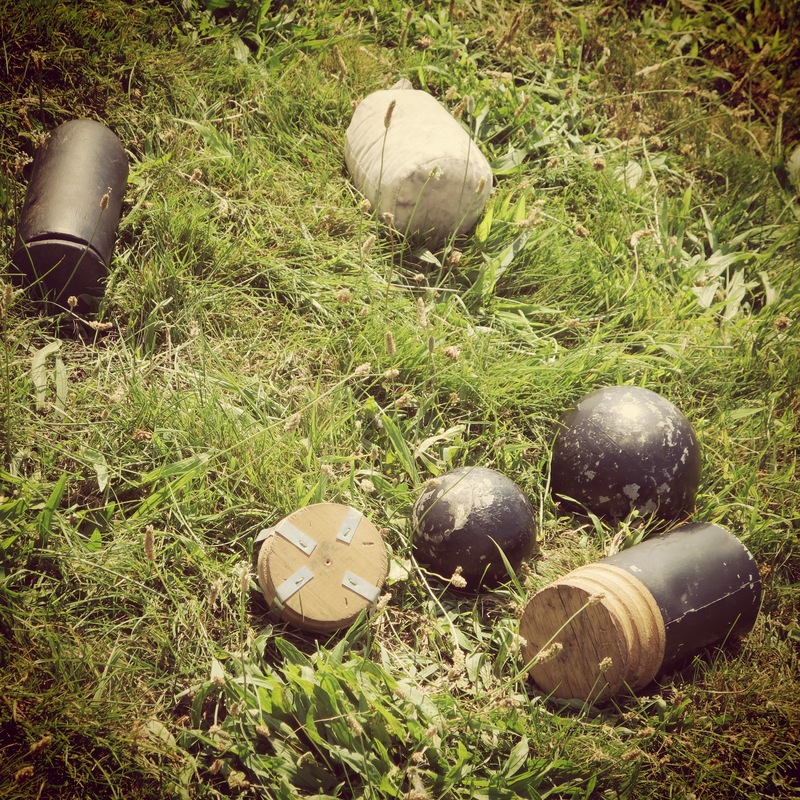 Aside from an opportunity to speak with reenactors and view some typical soldier’s equipment and life in camp, demonstrations of canon firing, drilling and infantry weapons are presented. 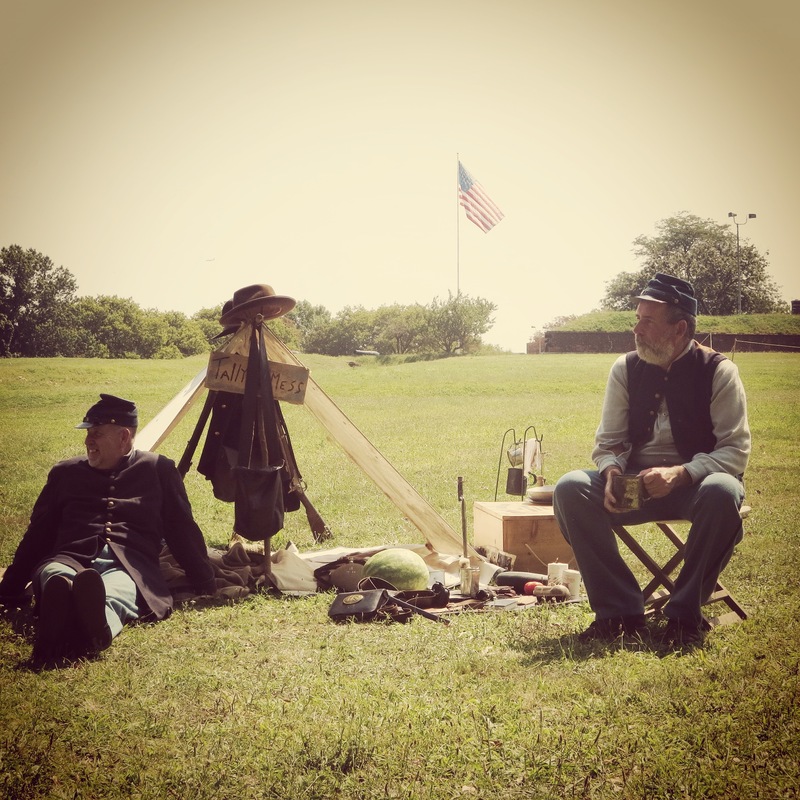 For the less militarily-minded, period music was also offered in the comfort of shaded grass and rocking chairs inside the walls of Fort Jay. 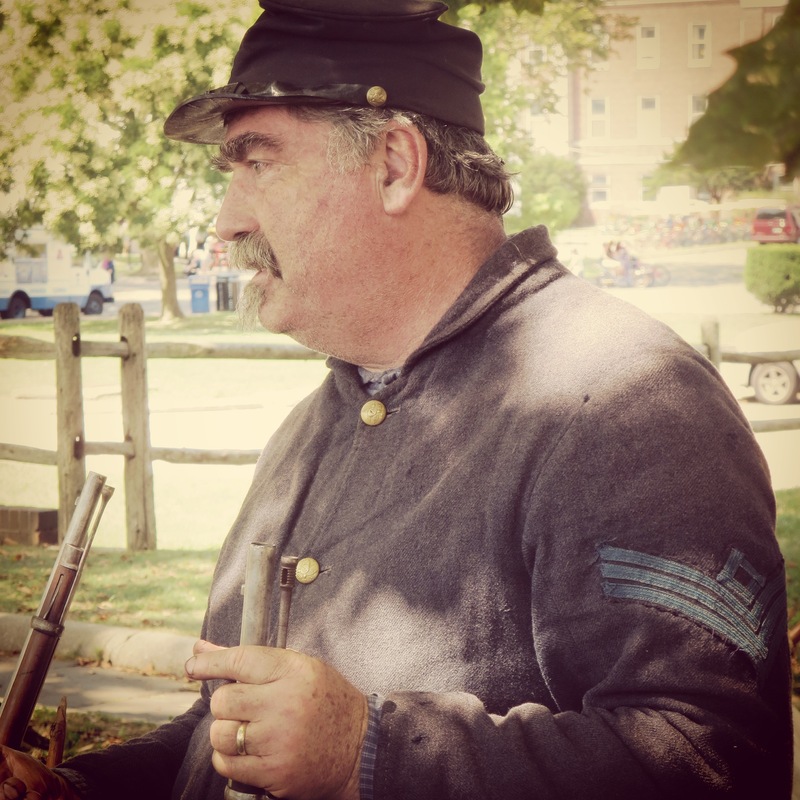 Although the use of Governors Island has primarily been military for several centuries, visiting the island today serves up multiple experiences. While the historic forts and sites under the governance of the National Park Service occupy approximately 22 acres to the north, the remaining 150 acres is now overseen by the Trust for Governors Island. The Trust has worked to create an oasis of recreational areas for picnicking, play, bike riding, strolling and relaxing among historic buildings, allays of trees, wide grassy lawns, outdoor sculpture and newly designed landscapes. 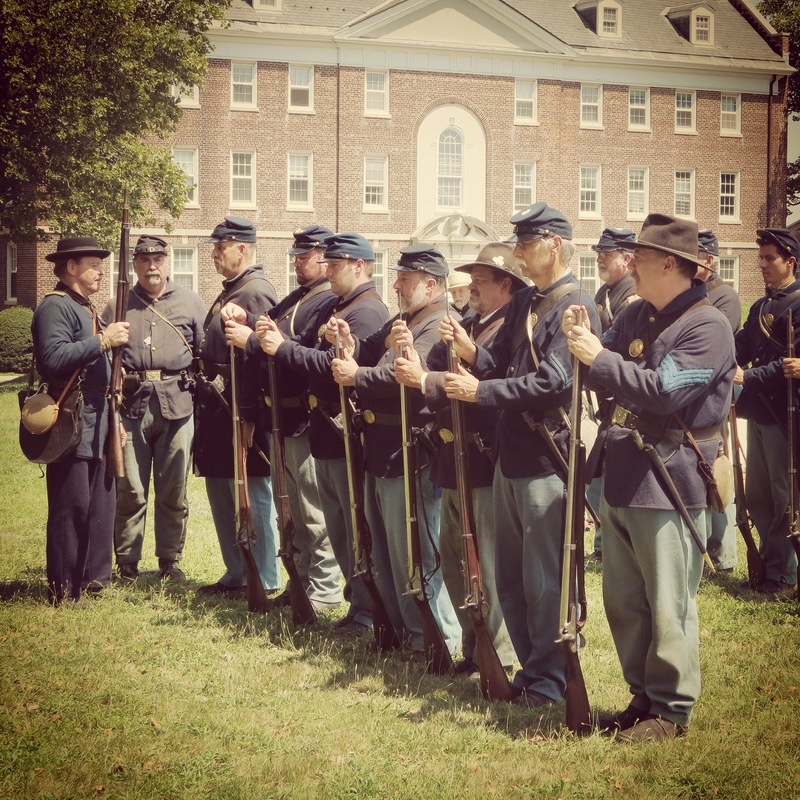 Whether you are a visitor looking for a step back into American history or just unwind from the city’s usual hustle, Governors Island can give a whole new perspective on New York at the center of the harbor and world.